Pitta, Kapha and Vata are the three Ayurvedic doshas or ‘types’ which express certain mental and physical characteristics, and each person usually expresses dominant characteristics of one or two of these doshas.Working out your own dosha is extremely useful in discovering why we do the things we do, and how to find balance in life. For example: Pitta represents a fiery energy, usually coupled with a fiery temper and a high amount of energy and good digestion. Pitta people are often outspoken and can make great leaders and teachers, yet when they’re out of balance, their quick-to-judge mentality can seem a little aggressive. Kapha is linked to the qualities of earth and water. Usually fairly slow-moving, contemplative, and with a strong build, these types are known to be extremely loyal and generous, but when out of balance, they can tend to be lazy, stubborn and resistant to change. Vata governs the qualities of wind, air and change. Often very creative, Vata people are lively and enthusiastic, and ‘always on the go’ when in balance. Out of balance however, this dosha is easily susceptible to anxiety, fatigue, a feeling of being ‘overwhelmed’ and suffer from insomnia. Take a test to determine your dosha by clicking HERE. Everyone has elements of Pitta, Kapha and Vata within them, it’s just that one or two are more dominant than others. Everything around us has the ability to shift our states and can either help to balance us out or knock us off balance. We can recognise this in day-to-day life. When we feel sluggish and lethargic, there’s an excess amount of Kapha. If we’re feeling energetic and fiery our Pita has increased – when we’re anxious and a little ‘all over the place’, this could be a sign of an out of balance Vata elemen. This isn’t as crazy as it sounds, since we all feel these different types of energy effecting us each day…. The seasons too carry with them different types of energy, and Autumn is very much a Vata season. Dry, cold air and windy weather heightens the already dry, cold and unsettled qualities of Vata, which is why it’s useful for everyone to use these tips to stay balanced through Autumn…. Stay Warm: Vata is cold by nature, so if you’re feeling chilly, wrap up throughout the day – and in the evenings, light candles, take a warm bath, and drink warming drinks. Soften Up: Dry skin is a characteristic of Vata types, so use some organic coconut oil to moisturise your body after a bath or shower. It’s useful to know what we put on our skin actually goes into our skin, and into our bodies, which is why using natural materials like coconut oil to moisturise is the healthiest way to keep our skin in good condition. Get Outside: When Autumn and Winter roll around, it’s not uncommon to feel the Winter blues approaching too. Many people suffer from SAD (seasonal annual depression), which is largely down to lack of sunlight, and the vitamins it brings. Getting outside in the fresh air and sunlight as much as possible – even when the weather isn’t so inviting – is important for getting our daily dose of natural mood-boosting vitamin D, and also for regulating our body clock so that the brain is fully aware of when it’s day and night. Sleep Well: As the nights get a little longer, our natural rhythms encourage us to sleep longer too. In nature, we would go to bed when the sun sets and awaken when it rises. In the modern world we can’t often adhere exactly to the rules of nature, but making sure you’re getting around eight hours sleep a night is crucial for maintaining a good mood and a healthy and energised body and mind. 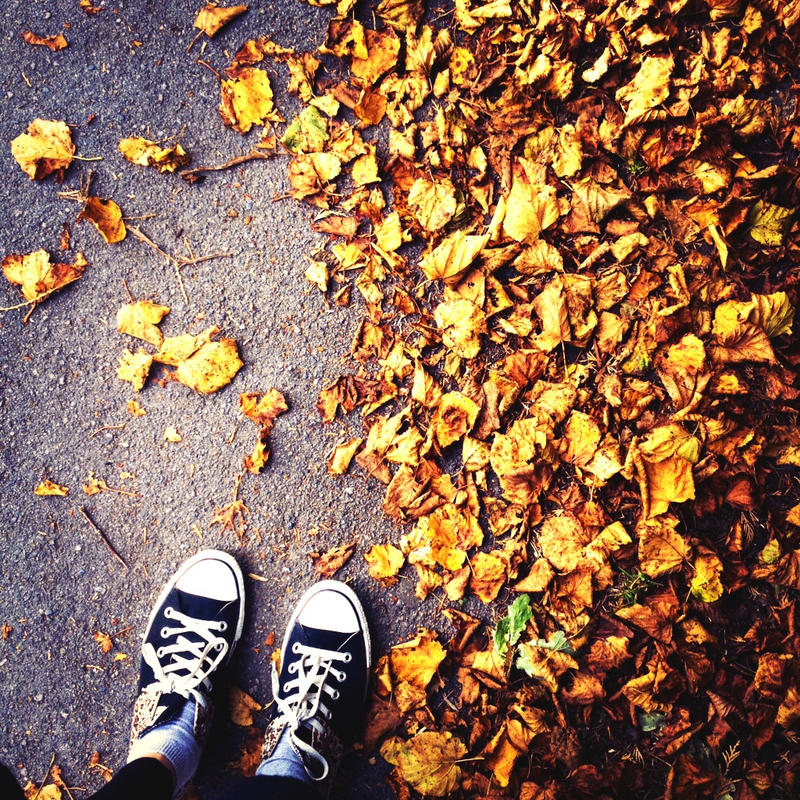 Nourish Yourself: The cold, hard and bleak aspects of both Autumn and Vata mean that what we put into our bodies should help us balance this out. Warm, filling and nourishing meals, cooked with fresh, colourful and whole ingredients will help us feel our best throughout the colder months. Try this dhal recipe for the perfect healthy Autumn comfort food, or this Vata-balancing sweet potato soup. Spice It Up: Certain spices are great for balancing out specific Doshas. Click HERE to find spice mixes for each dosha type, and use the Vata mix when Autumn arrives. Move Mindfully: When the Vata aspects of anxiety and restlessness take hold, we can aim to balance this by cultivating a yoga practice that moves mindfully through strong and stable postures. This is a time to draw our awareness inward and meditate a little more, but it’s also important to give ourselves a practice that will keep us energised, warm, and full of endorphins to stave off those Winter blues! Be Present: Instead of wishing the colder months away and looking forward to next Summer already, appreciate what we have right now. Autumn is naturally a beautiful time of year. With golden, red and orange leaves dropping from the trees so that new plants can grow next Spring – we can literally see the cycle of life happening all around us! Practice mindfulness as you walk outside: Rather than staring at that phone screen or taking photos of the world around us, instead experience its wonder just as it is through every season.